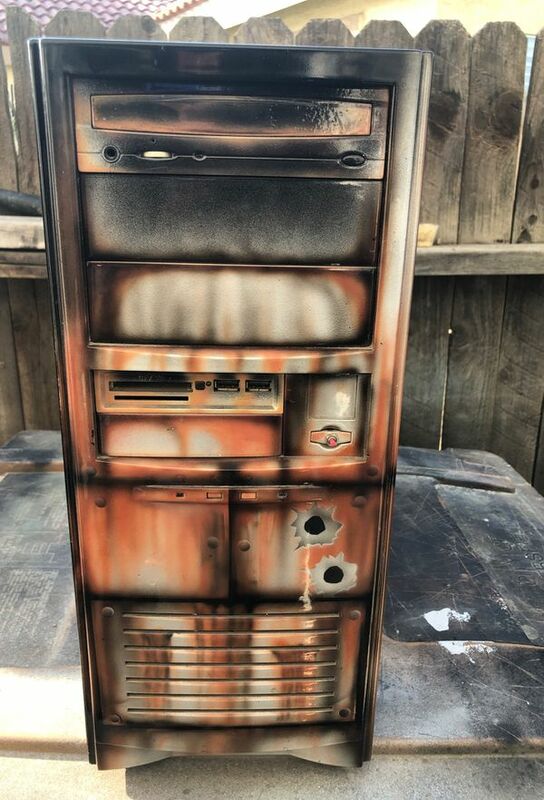 Custom Old school painted Gaming computer case.. 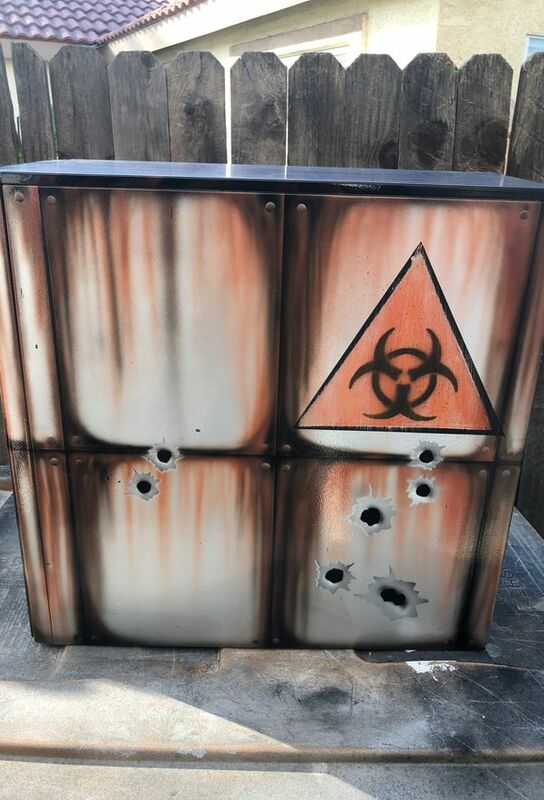 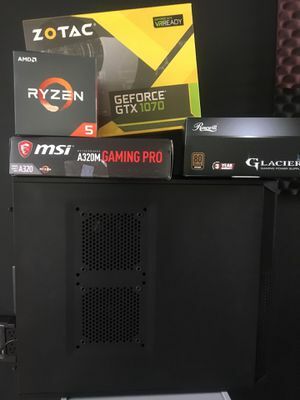 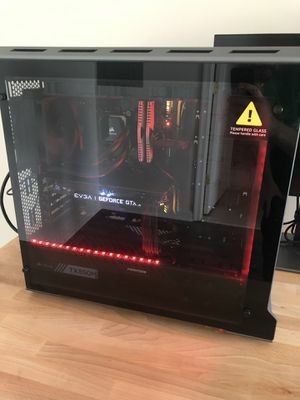 Custom painted computer gaming case that I painted!! 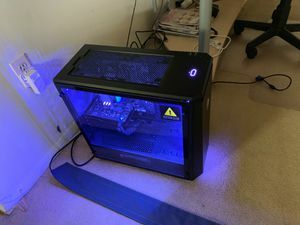 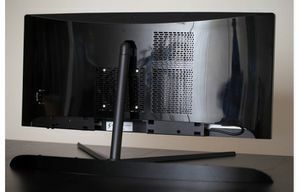 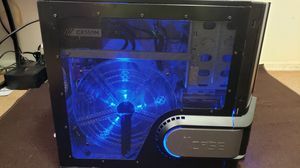 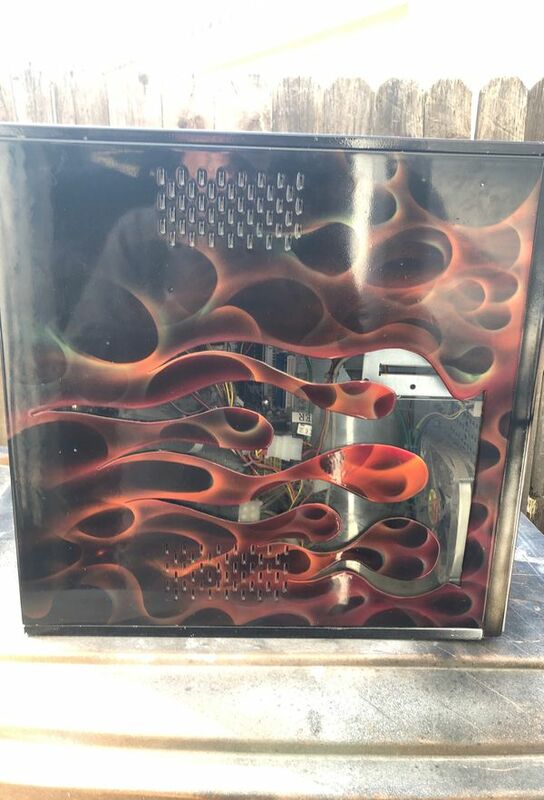 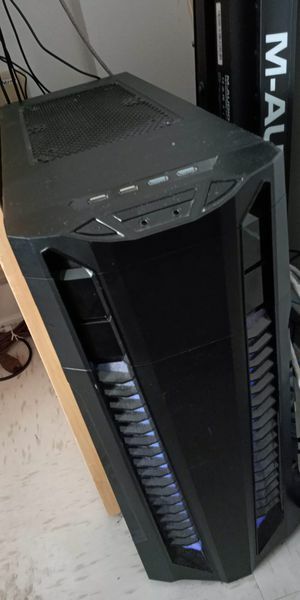 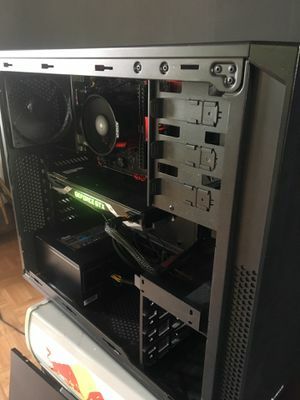 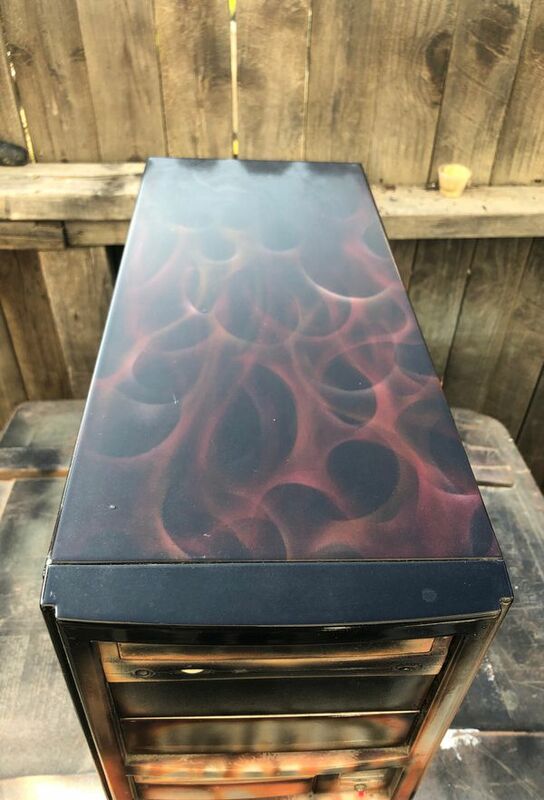 Old School if you like building your own desk top gaming machine whatever this is a ONE of a kind, still looks good normal use a little buff and polish this will be a nice piece in your gaming room just rip out the old guts and upgrade it... and yes Plexi see through flames..